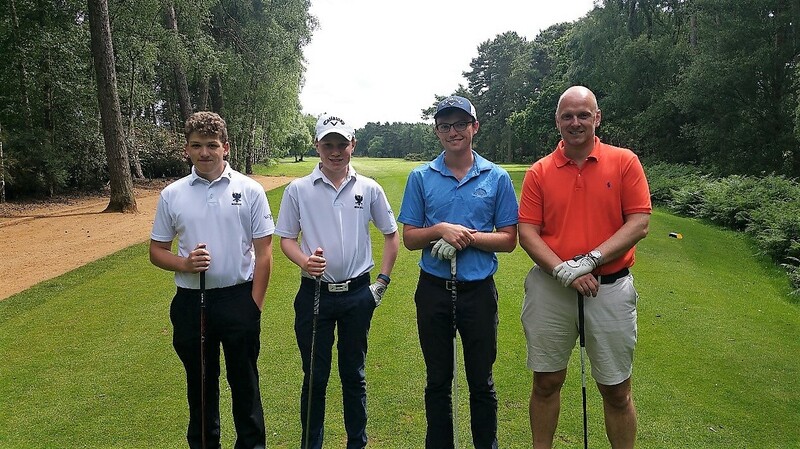 Sunday 11th June saw the return of the annual OB Golf match against the School. 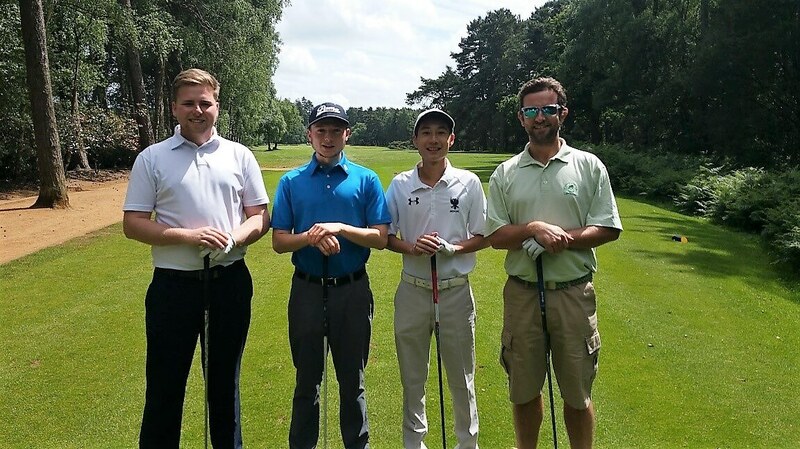 After a pleasant lunch and on a sunny but windy afternoon at Woburn Golf Club, the OB Golf team played the School looking for revenge after last year’s narrow defeat. 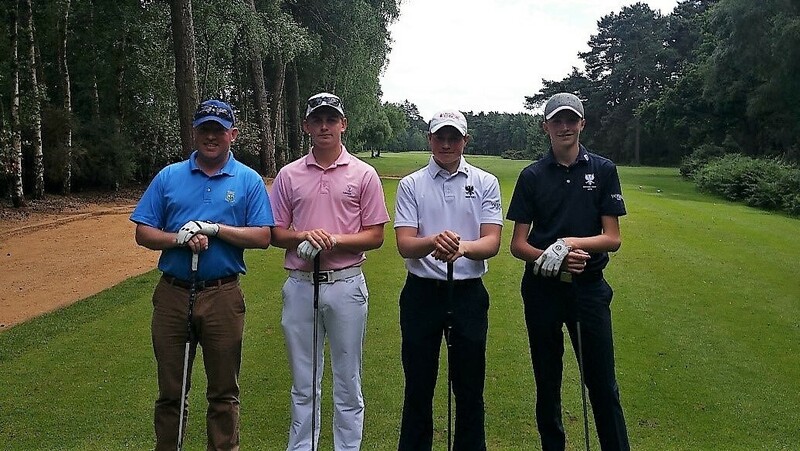 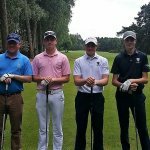 Five fourballs took to the fairways of the Dukes Course with the OBs led off by the unbeaten Halford Hewitt pairing of Iain Pratt (83-93) and Josh Taylor (05-16), who duly “did the business” with a 5&4 success and thus recorded their seventh straight win together. 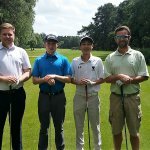 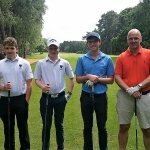 The School team, despite playing some good golf themselves, were up against a formidable team that were -7 after the 14 holes played. 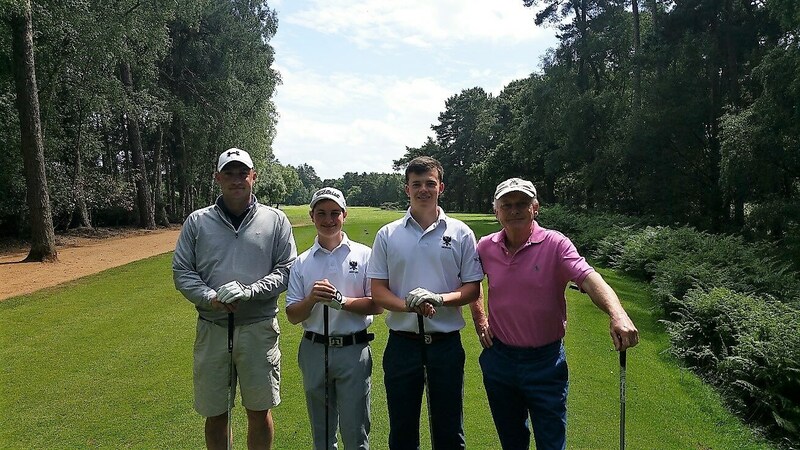 The next two matches were somewhat tighter with the overall honours going to the School with Tim Henderson (64-71) and Colin Beesley (90-98) halving their match and Adam Wilkinson (87-92) and Henry Wilson (04-11) losing a close match 2 down on the last green. 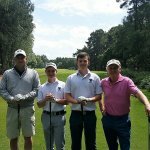 However the sting for the OBs was in the tail, as their last two pairs – Oli Hopgood (04-11) with Jeremy Woodrow (83-93) and Chris Johnson (66-75) with Kevin Dunbar (74-79) – both won 6&4 leaving the OB Team the winners this year by 3.5 matches to 1.5.